Really? Who in their right mind would want to do this? Are the deals that good? What about shopping online? Can’t we get the same deals there? Maybe we should re-name the event – Crazies Holiday Shopping? I really don’t know, but can say I wouldn’t even attempt to shop. On a side note though, if you enjoy “people watching”, go grab yourself a large cup of Joe, find a place to sit and enjoy the sights! Happy Shopping – I’m going for a run. Believe that Thanksgiving is almost upon us? Where in the world did the year go? 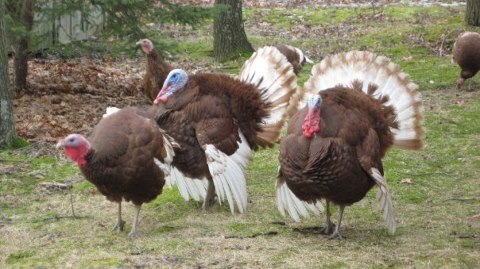 The kids had their first marking period, the frost has been a normal occurrence in the morning, WLEV has begun playing Christmas music and the turkeys have returned to my sister’s property on the Blue Mountain. It’s that time of year to give thanks for all we have. Remembering those that cannot be with us. When giving is better than receiving. And a smile goes a long way! I’d like to wish ALL a Happy Thanksgiving!